We noticed the birds right away upon our arrival at Granada. They came out in droves at dusk. 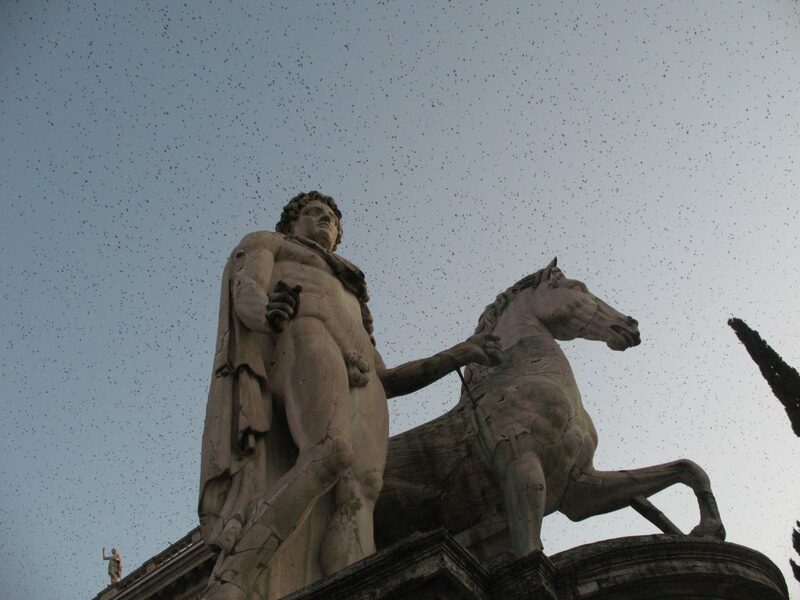 They reminded me of starlings in Rome. 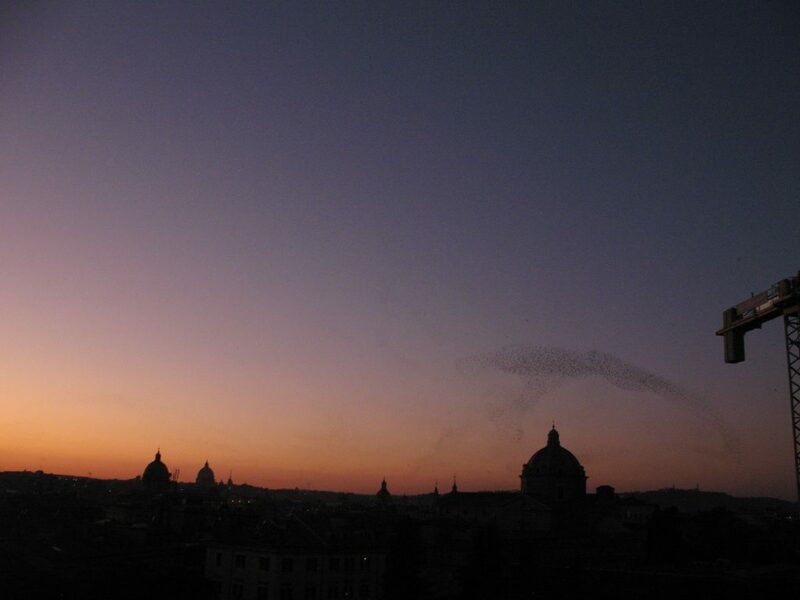 Nine years ago, on our last night in Rome, we saw the grand symphony of starling swarm from Campidoglio. We climbed to the top of the stairs of S. Maria in Aracoeli with a few dozen tourists. We stood in the fading light of the dusk, watched for over an hour. Mesmerized. Golondrinas in Spain didn’t do swarms. They flew in a more chaotic fashion above the squares and churches. Initially, Noah even suspected they may be bats. As we moved around in andalusia, i noticed more similarities between Spanish towns and Italian ones. Toledo reminded me of Siena, Tarifa Siracusa. Then as we ventured across the strait of Gibraltar, Tangier Kasbah reminded me of Turkey(or Greece that i’ve seen in pictures): whitewashed walls with bright yellow and blue splashes. The abundant cats wondering the streets and parks. He was absolutely right. 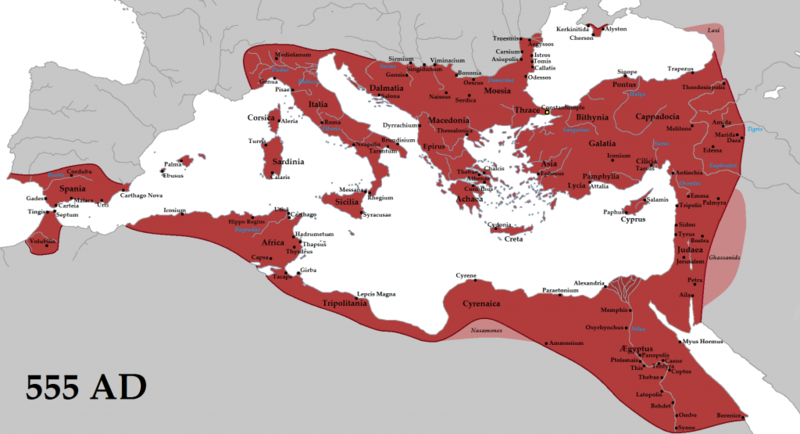 It is not just Spain or Italy, Roman or Greek, Byzantine or Moorish. They are all Mediterranean. 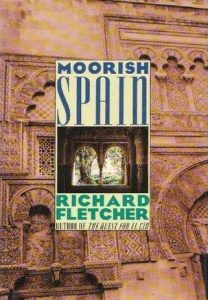 After we got back, i feverishly devoured a bunch of Moorish or Spain related books: Richard Fletcher’s Moorish Spain, Xiaofei Tian’s The Red Fort, and Robert Crowley’s Empires of the Sea. 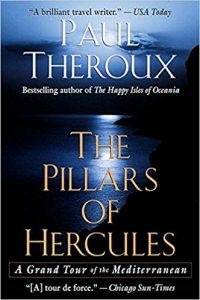 While still reading random chapters of Pillars of Hercules in between. One sentence toward the end of “Empire of the sea” stunned me. Suddenly all the puzzle pieces fell into place. Coherence! THE TREATY OF 1580 RECOGNIZED a stalemate between two empires and two worlds. From this moment, the diagonal frontier that ran the length of the Mediterranean between Istanbul and the Gates of Gibraltar hardened. 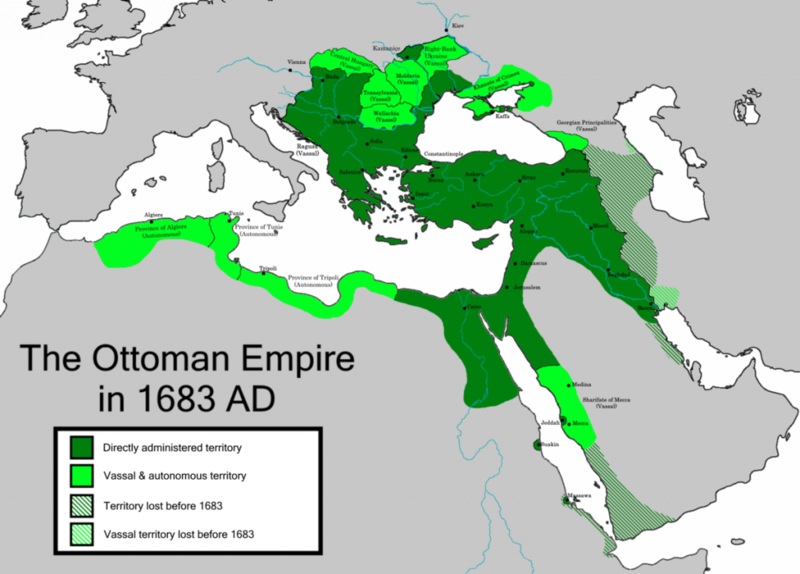 The competitors turned their backs on each other, the Ottomans to fight the Persians and confront the challenge of Hungary and the Danube once more, Philip to take up the contest in the Atlantic. After the annexation of Portugal he looked west and symbolically moved his court to Lisbon to face a greater sea. 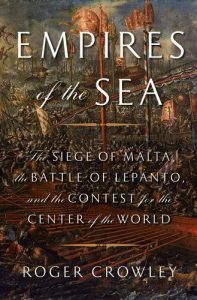 He had his own Lepanto still to come— the shipwreck of the Spanish armada off the coast of Britain, yet another consequence of the Spanish habit of sailing too late in the year. In the years after 1580, Islam and Christendom disengaged in the Mediterranean, one gradually to introvert, the other to explore. The diagonal frontier! That’s it! Once upon a time, such frontier didn’t exist. The entire Mediterranean functioned as one messy/quarrelsome family. They fought, they traded, they learned from each other. Empires ebb and flow along the tide of time. They might originate from different coasts of the sea. But they didn’t turn their backs on each other. The ancient egyptians hired greek mercenaries to fight off the syrians. The Greek then saw the grand pyramids, came home and went about to replace their original wooden temples with stony ones. 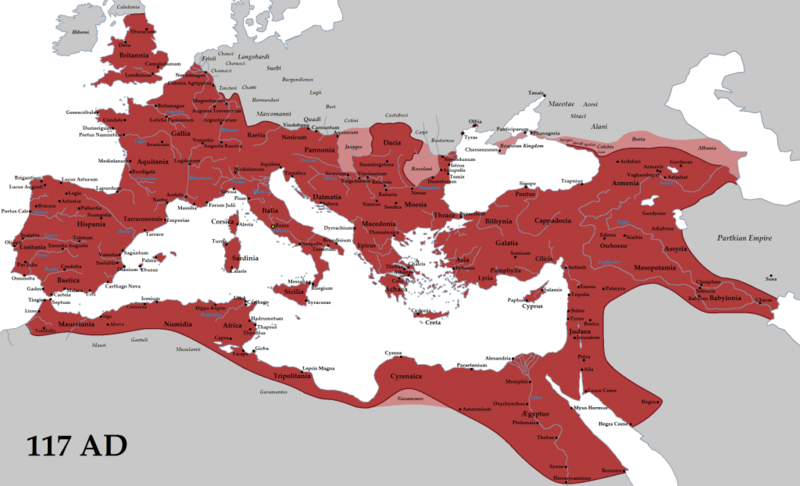 The Romans kept up the tradition and improved it further. Then came the Arabs whose beautiful palaces and mosques covered with ceramic tiles in Cordoba and Granada had its roots in pompei’s mosaic clad mansions and aya sophia of Byzantine. They improved irrigation systems on top of Roman’s, brought their fountains and gardens to medieval Europe, they translated Aristotle and Plato and interpreted them in the context of religion. Those treasures were returned to Italy after the dark age, ignited the renaissance. In our modern history, in our life time, we’ve never known the mediterranean without this frontier. In my mind Mediterranean has always been two distinct halves, the more prosperous,progressive, and sunlight filled northern and western part, and the dark and backward south and eastern part. The boundaries is actually not just diagonal. The dark side also includes the Balkans. I looked back further and realized this separation started in Byzantine time. After western Roman Empire fell to the Visigoth, the Mediterranean have slowly came to these two halves and stayed this way. 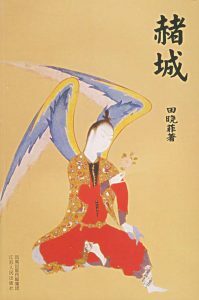 Coincident with the rise of Christianity and Islam. Visiting Andalusia reminded me that it wasn’t always this way, and it doesn’t have to stay this way, right?